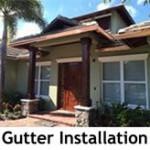 We are the #1 Recommended gutter company in Palm Beach County! Rich Cameron – Josh from All Gutter Systems was great. I had a small gutter repair that others had told me couldn’t be done. 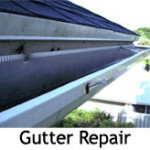 Rather than try to sell me new gutters, Josh said it was an easy fix and did it for no cost! Simply amazing in this day and age. I can’t recommend Josh and All Gutter Systems enough. Lyudmila Gonzalez – Fast response, fast execution, fair price, excellent service, 15 years warranty. Definitely recommend Josh and his crew! Jean-Francois Raymond – Our gutters and back patio screen are awesome. You guys did a great job installing them! 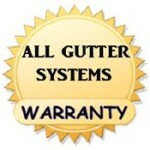 I highly recommend All Gutter Systems. Hope you get more business in our Rialto Community. Jesse Helroyd – Great service, fair price, nice work and very easy to work with! Thank you for all your help!! George E Belcher – Thank you for the professional service. Josh, David and Anthony are honest dependable and very capable. We are most happy with the quality of their work. They respected our property and our home. 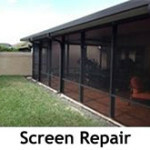 The repairs and re-screening of our pool enclosure was done with amazing efficiency! Rest assured that we will refer others to your company whenever the opportunity presents itself. Steven Schafer ‎- Straight forward, hard working. Tina Bitondo‎ – Awesome Service! Great work! Just had my gutters resealed and cleaned out. Everything looks great, and they came out super fast to get the job done!Great customer service!!!! They even helped me fix a light that I haven’t been able to get to! If you want the job done right I highly recommend ALL GUTTER SYSTEMS!!! David Shapiro – Very honest, fair, and they do excellent work! Do not hesitate to do business with Josh, you will not be disappointed. Kristin Glassman – They were very nice, competent and courteous. I would recommend them for any gutter services. Matthew Baaske – Called for an appointment for Monday morning and I received a call later that day letting me know someone would be out to repair the fallen drain. Josh had come out and fixed it before I even showed up to the office, an incredibly fast and friendly service. I would definitely recommend them and I even added them to my contact list in case we have any future problems. © 2019 All Gutter Systems. All rights reserved. Website by PBIF.